PITTSBURGH (KDKA) -A local war veteran is about to return home for the first time since he was injured overseas. Sgt. Doug Vitale lost both of his legs, when he stepped on an improvised explosive device in Afghanistan in 2011. Efforts are now underway to build a new smart home to help Vitale and his wife, Alexis, cope with some of the challenges they’ll face. The home will cost about $500,000 and will be funded by donations and money raised from an upcoming concert by the Lt. Dan Band. 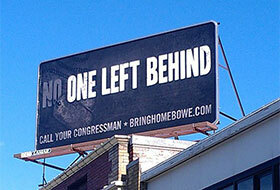 Now, Lamar Advertising is joining the effort. 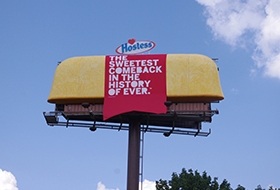 They have donated 10 billboards to help get the word out about the concert. 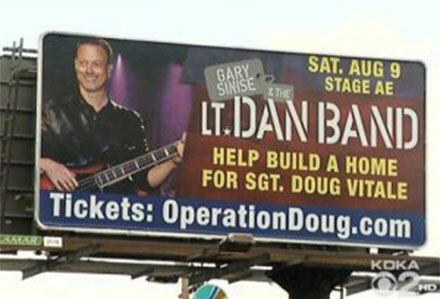 “This concert, the Gary Sinise and the Lt. Dan Band is really a night to have a lot of fun on Aug. 9, and to raise money to build Doug Vitale that smart home. It’s really going to be a great night not only to honor Doug and his sacrifices, but all the veterans in the community,” Chris Kuban said. The original article appeared on CBS Pittsburgh's website.